Restaurants : Boulder Cafe, La Bella Steak & Seafood and Herman's Deli. Standard room amenities : Cable TV, hair dryer, AC, coffee maker, iron. Hotel amenities : Maid service, safety deposit box wake-up calls. 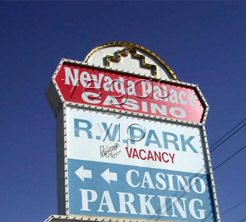 Nevada Palace is conveniently located eight miles from McCarran International Airport on Boulder Highway and only 15 minutes from the action on the Strip. 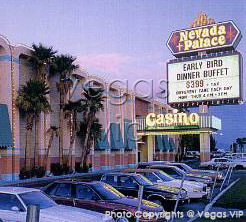 Its self-titled description as the 'Slot-Bonus Capital' of Las Vegas makes it a great destination on the 'Boulder Strip'. 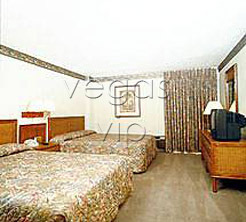 The hotel has more than 200 deluxe guest rooms and suites, with a landscaped pool and spa. There also is a casino, filled with all your favorite games of chance.